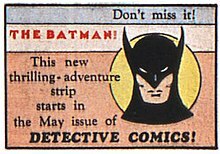 The early, pulp-inflected portrayal of Batman started to soften in Detective Comics #38 (April 1940) with the introduction of Robin, Batman's junior counterpart. Robin was introduced, based on Finger's suggestion, because Batman needed a "Watson" with whom Batman could talk. Sales nearly doubled, despite Kane's preference for a solo Batman, and it sparked a proliferation of "kid sidekicks". The first issue of the solo spin-off series Batman was notable not only for introducing two of his most persistent enemies, the Joker and Catwoman, but for a pre-Robin inventory story, originally meant for Detective Comics #38, in which Batman shoots some monstrous giants to death. That story prompted editor Whitney Ellsworth to decree that the character could no longer kill or use a gun. 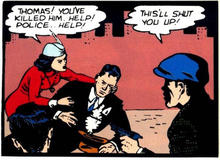 Batman is often treated as a vigilante by other characters in his stories. 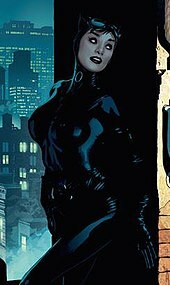 Frank Miller views the character as "a dionysian figure, a force for anarchy that imposes an individual order". 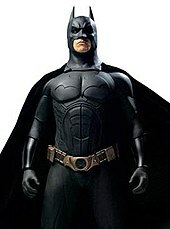 Dressed as a bat, Batman deliberately cultivates a frightening persona in order to aid him in crime-fighting, a fear that originates from the criminals' own guilty conscience. Miller is often credited with reintroducing anti-heroic traits into Batman's characterization, such as his brooding personality, willingness to use violence and torture, and increasingly alienated behavior. 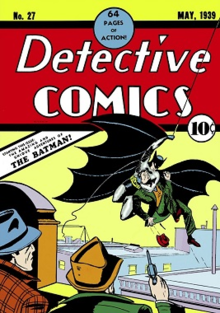 Batman, shortly a year after his debut and the introduction of Robin, was changed in 1940 after DC editor Whitney Ellsworth felt the character would be tainted by his lethal methods and DC established their own ethical code, subsequently he was retconned as having a stringent moral code. Miller's Batman was closer to the original pre-Robin version, who was willing to kill criminals if necessary. ^ Eury, Michael (2009). 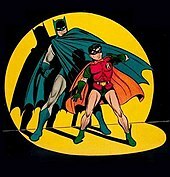 The Batcave Companion: An Examination of the "New Look" (1964-1969) and Bronze Age (1970-1979) Batman and Detective Comics. Kronenberg, Michael. Raleigh, NC: TwoMorrows Pub. p. 11. ISBN 9781893905788. OCLC 144224145. ^ "GCD :: Issue :: Detective Comics #37". www.comics.org. Retrieved April 24, 2019. ^ Terrence R. Wandtke. The Amazing Transforming Superhero! : Essays on the Revision of Characters on the Revision of Characters in Comic Books, Film and Television. p. 91. ^ Kane, Bob (1989). Batman & Me: An Autobiography. Andrae, Tom. Forestville, CA: Eclipse Books. p. 45. ISBN 1560600179. 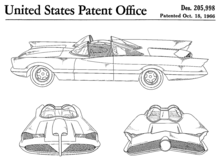 OCLC 21114759.